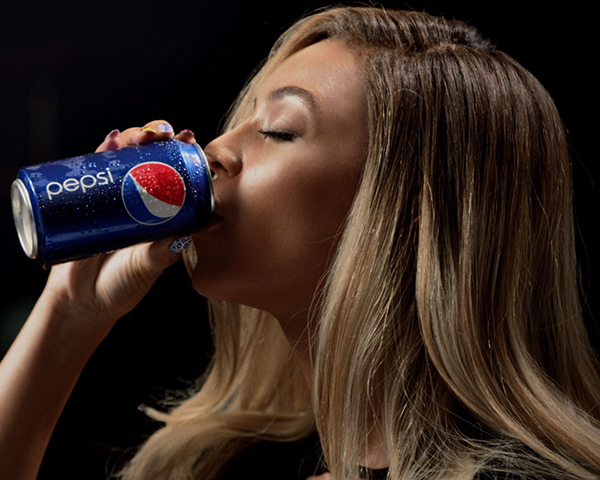 A couple days ago Beyoncé promised her fans a big announcement and surprise , few days later she premiered a brand new video on her YouTube page on Wednesday turned out to be the full 60-sec long commercial for the new ‘Pepsi’ campaign starring Mrs. Carter as unveiled worldwide at 9AM today, April 4. Oh, btw, the new funky song used in the spot is entitled “Grown Woman”, it’s aTimbaland production, it will appear on Bey’s upcoming 5th studio album (duh) and will hit iTunes worldwide for all B’ fans to purchase next Monday, April 8th! AND ALSO CHECK OUT THE BEHIND THE SCENES VIDEO ! !